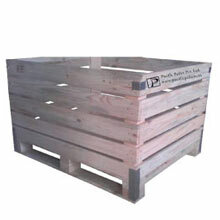 Wooden Stringer Pallets is most commonly used in warehouses and logistic companies. These pallets are used to support the load. Designed by encompassing a top and bottom deck-board, these are available in different stringer lengths and deck-board dimensions. Made from best quality pinewood, these are ideal for warehouse operation as easy to lift using hand jack and fork-lift.